I just watched this video presentation about Social Whale for your mobile phone. This app was started in 2009 by a few people in Greece, and has been in alpha testing stages to this day it seems. Twitter has created so many unique ways of communicating that the people at Social Whale decided to put something together. Watch this video to see what I mean. Our idea is simple at its base. We create a clone of twitter’s API and then extend it, so that it has more features. This way twitter can continue being as simple as it is now, but advanced users can use our implementation in order to have the features we offer. Developers can easily update their applications to work with our extended API using the same requests in our domain (instead of twitter’s) and get the same data, enriched with the extra information that we provide. This way we actually have created an extension of twitter itself. I just found out about Twollow through some tweets on Twitter…now let’s never say that sentence again. I know a lot of you have no need for Twitter, but for some of us it can be one hell of a business tool. I’ve been somewhat growing my Twitter account but I just don’t seem to be moving fast enough. Some of you can hugely benefit from the networking aspect but may not have the time, so here’s something to help you folks out. Keep in mind I was not paid, or will be paid, for this post so it’s up to you for some feedback. I’m not one who wants to waste much time on there so any help is good. If you’re trying to launch successful linkbait/viral campaigns, then this tool is also right up your alley. Once you have a decent Twitter following you’ll be surprised how much easier it is to snag links. A lot of sites, apps and widgets now a days are arching and indexing retweet’d content. So the more of an influence your account is, the more random links you’re going to pick up over time. Give it a FREE 7 day trial right now! Everyone knows that your Twitter profile URL is nofollow and doesn’t pass on any of the link loving, but there are still ways to attract some nice links with your Twitter account. Some of the links obtained won’t be all that powerful right now, but the way Twitter and its apps have been growing, it’s worth it in the long run…kind of like RRSP’s or a Chia Pet. Also on the topic of Twitter and SEO, someone either on Sphinn, SEOmoz or some forum mentioned that Twitter Search results were ranking well in Google lately. This lead me to some other interesting finds and ideas on ranking for a large number of longtails. There are a few Twitter user directories out there in the wild and they do have an added benefit towards your link building efforts. With the added benefit of snagging a dofollow link, you also get to grow your followers. Another perk about getting links built to your Twitter profile is that you can rank it higher in the serps. I’ve got an Ecommerce shop that I run in my free time and I’ve managed to rank my Twitter profile for one of the top keywords within the niche, and it drives sales. Twibs.com is a new business directory for Twitter users and accounts, and I imagine this will grow like crazy. 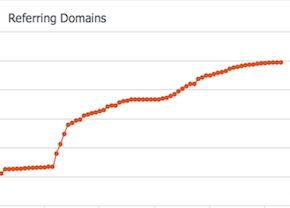 The site has been around since January and has been growing decently since then, nearing the 100,000 mark on Alexa. Within your Twib Business Listing, you get a dofollow link to both your Twitter profile, and your homepage or blog. 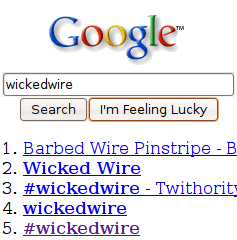 You can push your Twibs page into the Google index yourself, or waiting should end in the same result. There are nearly 10,000 pages indexed from Twibs, so the spiders are doing their thing. Tweeple.com used to be home to what now is Tweeplepages.com, and they’ve made a few changes since I’ve last looked. The main domain, Tweeple.com, is undergoing either a site redesign or a code overhaul because I’m noticing some functionality changes on the new site. On your Tweeple Page, you do get dofollow links back to your homepage or blog, but now the links are being masked. Still a great place to make new Twitter friends. Tweetfind.com is a Twitter directory and search engine to find like minded people. The site also has a few extra features like Twitter news, statistics and interesting user profiles listed daily. You can add yourself for free, and if approved, you’ll be rewarded with a profile page that includes dofollow links to your Twitter Profile and homepage/blog. It’s too early to tell if this site will continue to grow, but chances are good and the traffic has been slowly moving up since its launch in January. JustTweetIt.com brings an interesting approach to the Twitter directory scene but it’s worth the 2 minutes it takes to submit. It’s free to submit and each category has a list of tweeters within that niche along with a link to their profile, and to their homepage. The link to your Twitter profile is dofollow while the link to your homepage is not. No worries though, you’ll find that once you add yourself here, your followers will grow. WeFollow.com is the newest Twitter directory by Digg’s Kevin Rose, but it’s mainly a list of the biggest player s on the social media site. You can add your Twitter profile for free which doesn’t add any link benefits, but it might help your followers list rise. A lot of people bitched about that the site doesn’t promote find new users, but following people within your niche who can attract that many subscribers can’t be all that bad. I’m sure this is just a start to the number of Twitter directory like sites will start popping up, so keep an eye out and feel free to list any I missed in the comments. Now let’s take a look at what’s going on with Twitter Search queriry results, and how you could possibly rank easily for some longtail keywords. Now I know this is going to be exploited by some annoying spammers, but if you’re competing in a certain niche, why not try and take a bigger piece of the traffic pie with your account? Obviously the more heavily searched for terms will be harder to work with, but I encourage you to run some of your own tests. So word on the street Twitter search page results are showing up within the search results, and they’re even ranking for keywords. I took a quick peek to see if it were true and found some pretty interesting results. I’ll make it brief because I’m most likely making some of you either sleepy, or nauseous from all the blue color in this post. Well the evidence is there, but the question that comes to my mind is…how long will Google allow this. 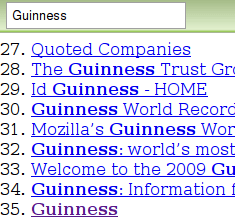 I’m partial to this search listing showing up because it does give the user a link to a very recently updated look into Guinness. But then again, the way it shows up within Google’s results doesn’t seem all that SEO friendly. Do let me know what you folks think about this. I was late to the Twitter game and I’m glad I finally got into it. The Linkbuildr Twitter account has steadily been growing and I’ve been trying to find new ways to get more subscribers, and that has led me to write this post. Besides having chiclets, banners, buttons and other on page methods of getting people to your Twitter account there hasn’t been much options outside of that for attracting attention. There are a number of Twitter search engines out there and they are a great way to find people that are interested in the same topics as you. You can either search for your favorite bloggers, or search for the top keywords around your niche and subscribe to all those people. Keeping this up will encourage them to follow you back. Search.Twitter.com – the original search provided by Twitter lets you search for people and topics easily. If you click on the advanced search button you’ll get a nice set of search features that rival Google’s advanced search. You not only search by name and topic, but you can also search by location, date, language and if the post includes a url link. TwitterTroll.com – a real time Twitter search engine that indexes popular people and topics and is all about finding like minded people. As of today their are only 58706 Twitter users indexed in the search engine, and the crawl rate has been set to low a lot lately. I imagine this app is starting to take its toll on the server. Twellow.com – is not only a Twitter search engine, but it is also a directory for people broken down by category. It is pretty much a web directory for Twitter users and you can find more Twitter directories like this down the post a bit. 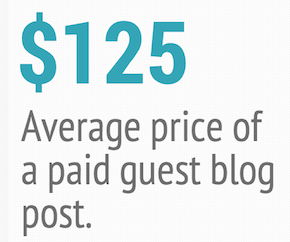 This site is great for finding like minded people in your niche or industry. Twidentify.com – this is a search engine for Twitter users that get retweeted the most. This is great for finding like minded people because you can see others discussion topics you’re into, and that includes their opinions. Twithority.com – is an authority based Twitter search engine for finding the most popular people on the site. The site kind of makes a mini magazine based on the content on Twitter and popular users tweets get displayed on the main page. Twithority also tracks the hottest trends based on searches so you can get an idea of what to blog about, or retweet. Twitter alerts are a great way of keeping up on topics being tweeted and give you a chance to find more people in your niche. They act the same way as google alerts which are great for the same reason in the blogosphere. There have been a few sites for this popping up lately so it must be catching on. Twilert.com – is an easy interface to get alerts for a topic when it hits the tweet street. Just put in your Twitter details and keywords to watch and you’ll get updated via email when someone talks about a topic you’ve requested to watch. Tweetbeep.com – has been down since the end of December, but it still ranks number 1 on google for Twitter Alerts. I’m not sure when it will be back up, but when it does it’s worth checking out because it worked well. Nice slick interface and the alerting system always worked up until now. TwitterAlerts.com – this site is a really simple sign up and track your keywords app that has been around almost the lonest. All you need to give them is the email to send the alerts to, your username and password. Twitter forums have been popping up all over the place and it is a great way to not only interact with other Twitter users, but its a great way to show off your account and attract new readers. I never would have suspected forums for Twitter would take off and so far it seems that I’m right. All the forums listed below are very inactive, but only time will tell. TwitTown.com – is the largest forum for all your Twitter addicts out there and only has a few active posts going on. This site used to be hosted under the domain Twitterforums.com but decided to move for some reason. There are only a couple hundred users. Twitplace.com – has only 13 members and is decently new so I don’t know what to say as of yet. Since Twitter is pretty much a large unorganized chat forum it must be hard to get something like this going. Tweetbars.com – is not a forum but fits under the topic at hand. TweetBars lets you easily implement your tweets into your Email, Website and in your forum signature. It is basically Twitter meets Forum Signatures as they’ve coined it already on their website. Interesting little app to play with in my opinion. I have noticed a few Twitter user directories popping up and they are getting quite populated already. I imagine we’ll see more so I hope I can remember to keep updating this post. If anyone has anything I missed be sure to contact me or leave a note in the comments. Twitdir.com – is the premier Twitter directory and unfortunately was down for maintenance at the time of writing. It features a directory broken down by interest so it makes finding Twitter users really easy. Be sure to add yourself into the mix and approval normally takes 1-5 days. Twellow.com – is one I already mentioned under Twitter search engines, but it is also a directory for users. You can submit your Twitter account and once it is loaded up you can confirm the listing by entering in your password. Another bonus is that the URL you have listed in your Twitter profile gets listed here as well, but it’s do follow! Check out the Linkbuildr profile on Twellow. TwitterPassion.com – is another less SEO friendly Twitter user and topic directory that has a good amount of people listed, including celebrities. You can submit your link and although it is not auto approved, should only takes a few days to get listed in the directory. JustTweetIt.com – is one of the newer Twitter directories on the block and has a huge user base already. I’ve added myself to the SEO/Internet Marketing category and I really like how the listings are displayed. Submission was auto approved and the link to your Twitter account is do follow, but any links you put in your description are no follow. I hope this helps some of you grow your Twitter accounts because they can be a great place to leverage sales, get traffic and make some new friends. Again I’ll mention to contact me or post in the comments anything I missed that would be a great addition to this post. I would also like to hear how some of you snagged a lot of Twitter subscribers.